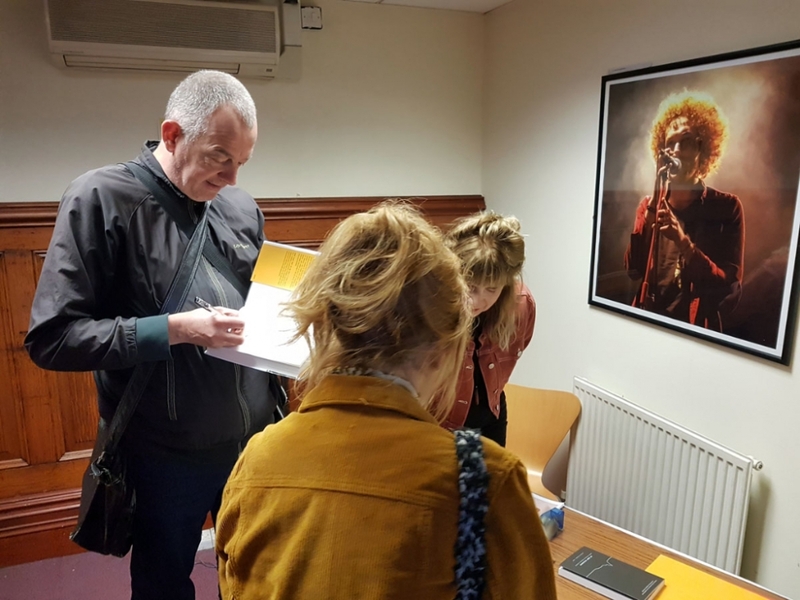 Dave Haslam signing one of his books inside the Old Bank in Withington after hosting a discussion, 'Joy Division in Words' at the M20 Festival, celebrating the 40th anniversary of the founding of Factory Records locally. One of Charlotte Wellings' music photography photos can be seen in the background. More photos/further info can be found underneath my artefact showing a banner exhibition about Factory and its Withington associations.